I added the quarter deck tonight. Since my superstructure was bigger than the kit plans, I had to make the quarterdeck longer by 1.5 inches to make room for the freefall life boat. 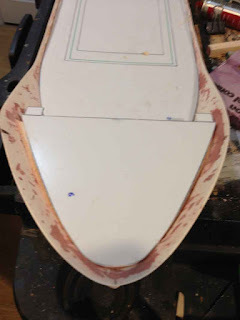 This extended the bow edge of the quarter deck past the curve in the bulwark, so I added to notches to the quarter deck to bring the outside edges back aft. I will put stairs in these locations. I hope the naval architects don't object too seriously to my mods. I had to make a new free fall lifeboat appliance as the one that came with the kit one was now too long due to its shallow angle. I based the lifeboat appliance on a Norsafe design as I was able to download its plans on-line. 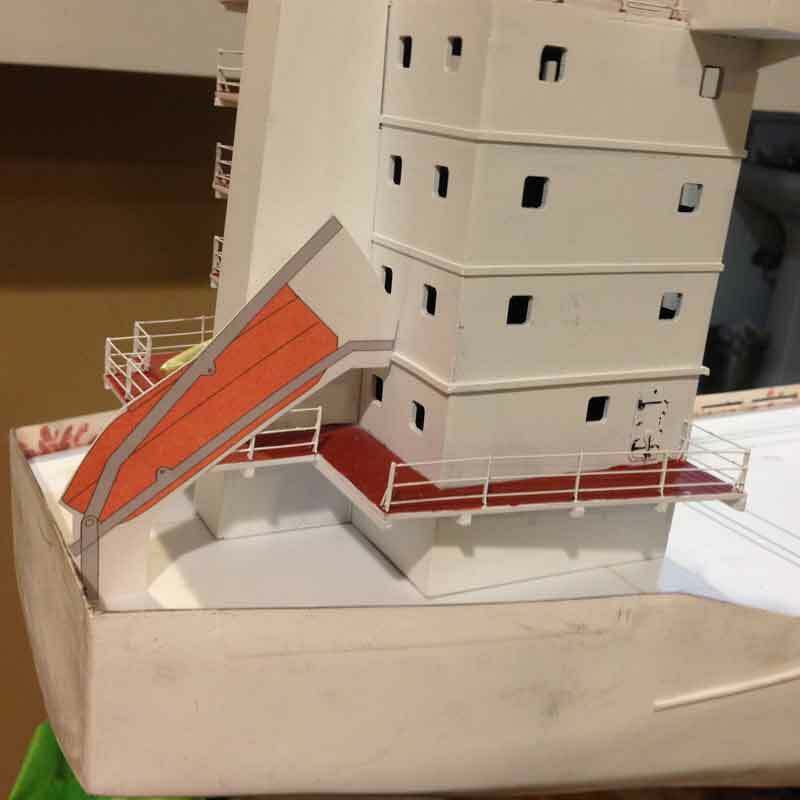 The photos show a paper and 3D mockup. I will made a more detailed version later. 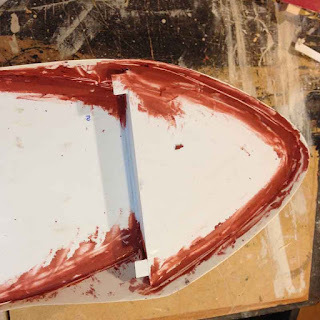 Next step is to cut away the below waterline part of the hull and get it ready for priming. I started adding the decks to the ship. 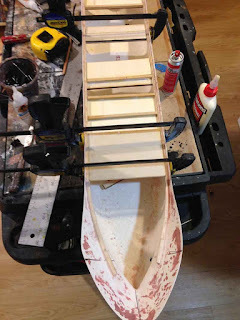 Since this is going to be a static model with the cargo covers closed, I made the deck supports from large pieces of 1/8 inch plywood and basswood strips. In retrospect, I probably should have cut a single piece for the deck supports, but this composite construction with basswood strips and plywood panels is very strong. I encountered some serious gaps where the forecastle deck meets the hull. I filled the gaps with strips of styrene, then gap filling CA with baking soda. I sanded that down and then put on a skim coat of auto body putty. Once that dries I'll finish sanding. Mike Spoor and John Drye stopped by today, but at different times to operate the PoLA layout. Mike went first and had a full switch list of 31 cars to handle. Some of the cars are brand new and had never been used before. Most worked OK, but the bulkhead flat cars tended to derail. Mike tells me those are known for problems and need more weight to operate better. A load of simulated wood would be an easy way to add weight. So I set them aside. They are very good looking cars. head his train back to staging. After dinner (mom made fried calamari, Alicia made lobster mac & cheese, and I made the salad) John took at crack at the PoLA layout. I removed the bulkhead flats, leaving him with 29 cars to switch. He had a good time. John said he felt that the PoLA layout was challenging to switch without being a switch puzzle. I was very gratified to hear that. He said this experience has helped convince him to build a similar scope 1950s era Pennsy theme switching layout in HO scale. His current home layout is an extensive N scale depiction of the PRR Horseshoe Curve. But it doesn't have a lot of switching. It will be interesting to see what he comes up with. a very dusty and stinky job. the freeing ports in the bulwarks. 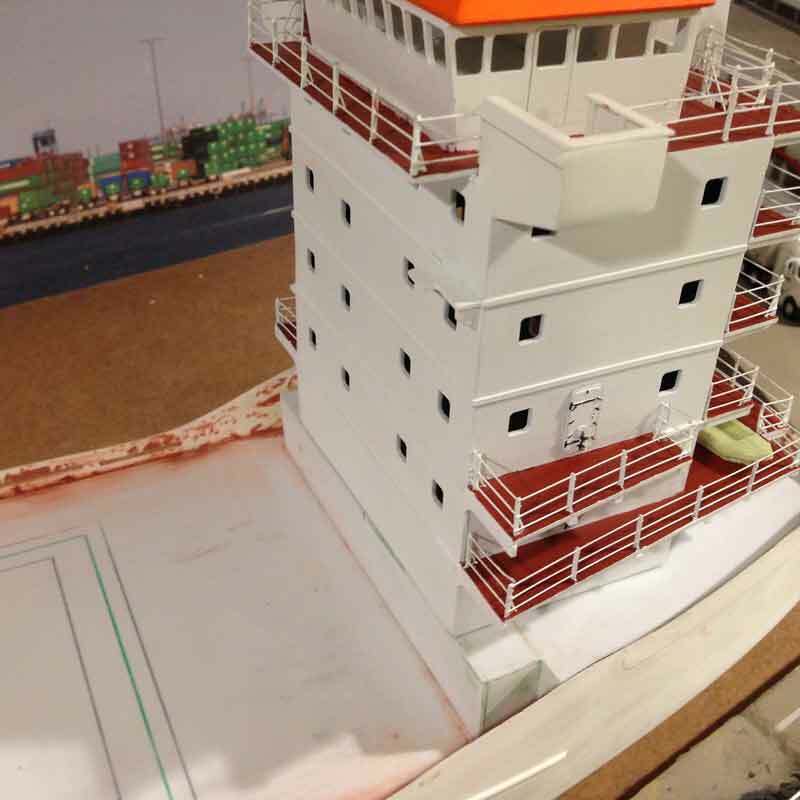 While they were operating the layout, I was working on the hull of the general cargo ship. It is made of fiberglass. It was surprising soft and easy to sand. One tricky operation was cutting the freeing ports along the bulwarks. Freeing ports or scuppers are openings in ship sides or bulwarks, allowing for the draining of accumulated water from the decks. Green water can present a risk to stability if not drained in a timely matter, as it can be of considerable weight and induce a free surface effect. I used my dremel tool on the pre-marked locations. But it was very difficult to get each one perfect. I thought about replacing the complete bulwark with a using a laser cut piece. We'll see how it looks once I add the deck. They look pretty good right now and John, who was watching, reminded me that perfect is the enemy of good. I also repainted the wind dodger with a florescent orange. It seems like that is more common in the prototype photos I've been looking at. I had originally used florescent red. 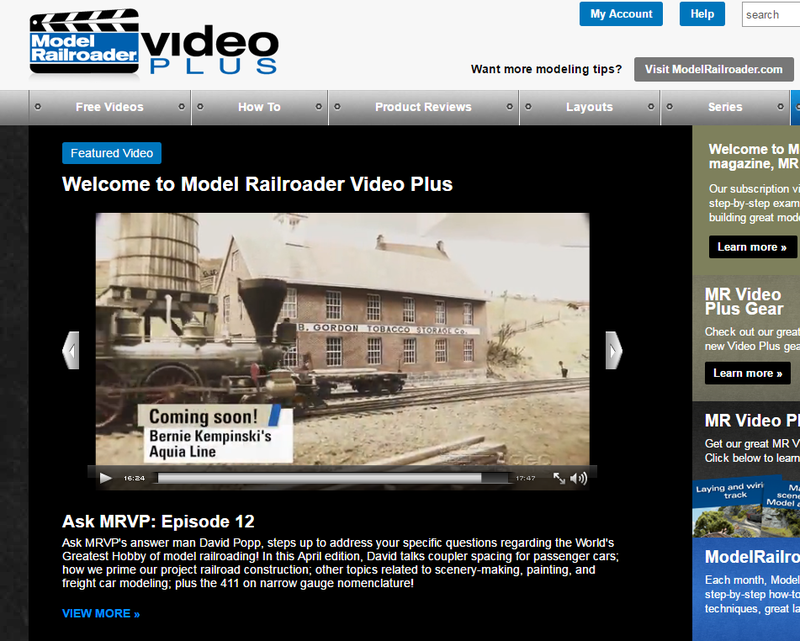 In a recent segment of Model Railroader Video Plus, David Popp mentioned that they will soon be showing a video feature on the Aquia Line. If you recall, I blogged about when Ben Lake and Kent Johnson visited the railroad last October and spent a day filming the layout. David says the video came out well in spite of some clips of my talking head. It will be fun to see how they put the video together, as they always do a nice professional job. 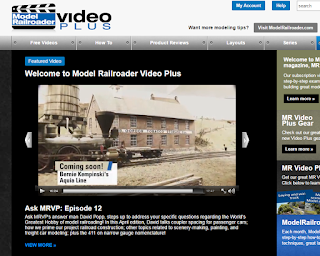 One does have to be a MRVP subscriber to view it so if you want to see it you must sign up. 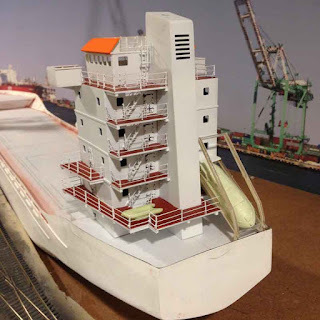 I am back to work on the Port of Los Angeles Layout after completing several other projects. It's difficult to see flaws in the unpainted acrylic. flaws and help fill in gaps. The first task on the plate is to finish the model of the general cargo ship. I earlier had discussed the problem I had with the paint on the superstructure. I ended up building two more iterations of the superstructure. The final version uses laser cut acrylic plastic for the main walls and decks, strip styrene, and photo etched stanchions and stairs from Deans Marine. The stairs were very tricky to get just right. Look for a new product for Alkem Scale Models to simplify this tricky task. and fluorescent red wind dodger. The stairs were very tricky to get just right. I was looking through some of the Google books I have stored in my "Google Library" and came across the Annual Reports of the Virginia Central from 1864 and 1865. They make interesting reading. According to the 1864 annual report, the Virginia Central was able to keep running and make a tidy profit in 1864 in spite of numerous Union raids and resulting destruction. The 1865 report is surprisingly upbeat. Yes, it quickly covers the end of the Confederancy and the loss of the value in confederate bonds and paper money. But then it moves forward describing how the railroad plans to expand. I thought the following passages were especially interesting. The company had less than one hundred dollars in its treasury, after the fall of the Confederacy, being a remnant of gold procured for a specific purpose, and only about twenty miles of its road was available for producing revenue. In this state of things, they commenced, on the 21st of April, the Herculean task before them ; laborers and owners of materials had confidence : gradually as repairs were made, additional sections of the Road were brought into use, and on the 22d day of July, it was opened to Staunton, and shortly thereafter to the Western terminus. No break in connections at the Potomac. Whilst the war has been the cause of an almost unbroken series of misfortunes to this company, yet there is one exception : For the greater dispatch of military operations, a Rail Road bridge was constructed over the Potomac during the war, which has supplied a most important link that was wanting in the chain of Rail Roads on the South and North sides of the Potomac. There is now a continuous line of Rail Road, of uniform gauge, between New York and Richmond, by this line. The repeated transfers from Rail Road cars to Steamboats, and from Steamboats to Rail Road cars, is a serious objection in the transportation of freight and passengers, and the time is not far distant, when this company will derive a most substantial benefit from the removal of these impediments. On the 23d of January, 1867, a period of sixteen months, the prohibition contained in the Charter of the Richmond, Fredericksburg and Potomac Company, against this company giving through tickets in connection with Northern and Southern Roads will cease, when it must derive a most important advantage, both in saving of time and the comfort of passengers, from having an unbroken line of Rail Road between New York and Richmond. The company is now in the enjoyment of improved revenues from that cause ; besides the great United States mail, it is carrying the whole of Adams & Co.'s express matter, the mails and freight not being embraced in the monopoly : cars with Express freight now can run through from New York to Richmond, without transhipment (sic) The annual report. It should be noted that the USMRR constructed the bridge "over the Potomac" cited above. I also found the phrase "great United States" mail is an interesting choice of words. The 1865 Annual Report really has an upbeat and forward facing outlook.